What do hackers want to do with your medical data? 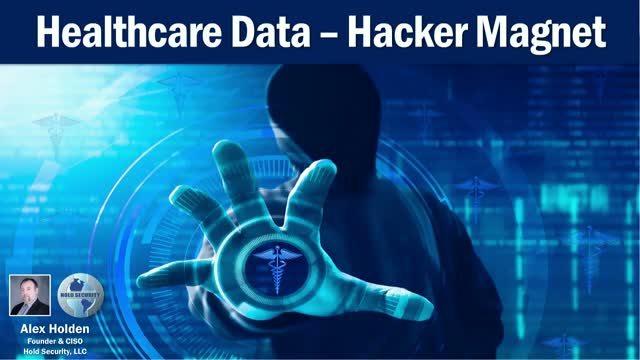 These are practical examples from the Dark Web of real HealthCare data abuse. What is important to the bad guys, what is not? Learn about the hackers’ perspective and how to defend the data against abuses. Phishing and website impersonations are one of the most common and harmful techniques that cause a substantial amount of damage. Mining DNS data can be a great and effective way to prevent these attacks from ever taking off. We will discuss how to detect and blacklist sites before the first fraudulent email or first web connection is made. Learn about techniques and tools available to stop these attacks at root. One of the toughest fights in information security is the fight for your budget. The most integral part of your budget are your employees. We will discuss how strategic investments into the human capital can make or break your security posture. How to get the right talent, and also how to retain it. The human side of economics is usually the most unpredictable one and you need to know how to navigate it. The simplest way to compromise systems is not by hacking but through use of previously stolen information like credentials that would let the bad guys walk in through the front door and take everything. Therefore, stolen credentials have a high demand on the Dark Web and we are constantly barraged by news about massive credentials thefts. You should be protecting your users from losing their credentials and subsequent abuse. However, you should also protect them against misinformation about "new" credentials cache discoveries. After being credited with the largest legitimate stolen credentials discoveries, I feel like one of the world's foremost experts to provide you with insights about critical thefts. Learn what kind of challenges the next generations of technology will bring to cybersecurity and what kind of safeguards we are building. From our history of technologies becoming obsolete, to the rise and fall of hacker techniques; we can derive our lessons and not only fantasize about our future but predict it based on a solid track record from the past. With 2018 almost behind us, let’s examine what advances did hackers make recently, and what is in store for us in 2019. Also, practical advice about building defenses, policies, and team work to meet the 2019 challenges and beyond. We try to fortify our perimeter against the hackers. The truth is that some of them get through, and in most dire cases, they take your data with them to the Dark Web. We will discuss detection of the breaches from the Dark Web perspective. What hackers do with your data, and how to tune your tools to detect your breached data outside of your perimeter. With GDPR at our doorstep, getting breached not only carries losses due to hackers but the potential of penalties from the regulators and government. What is the best advice on how to deal with breaches, besides not getting breached? Let’s discuss the basics to show a measured standard for detecting malicious events, classifying them, and responding with at most efficiency. Most breaches cannot be simply mitigated with technology or cyber insurance. Breaches have short-term and long-term price tags that come with loss of reputation with customers and stakeholders. We will discuss the true costs of breaches and what you can do to minimize the impact they cause. Alex Holden is the founder and CISO of Hold Security, LLC. Under his leadership, Hold Security played a pivotal role in information security and threat intelligence, becoming one of the most recognizable names in its field. Holden is credited with the discovery of many high-profile breaches including Adobe Systems, initial vendor breach that led to the discovery of the JPMorgan Chase breach, the independent discovery of the Target breach and the Veraz (Equifax Argentina) breach. In 2014, he discovered the largest breach of data to-date. Dubbed the CyberVor breach, he recovered a cache of over 1.2 billion stolen credentials gathered from over 420,000 exploited web sites. Considered one of the leading security experts, he regularly voices his professional opinion in mainstream media. - How to deal with the worst that the hackers can throw at you and still re-emerge successfully. Understanding the hacker advances in AI is critical to stop the new generation of cyber threats. At the same time, what techniques can we teach our AI's to examine and prevent new exploitations. Alex Holden is the founder and CISO of Hold Security, LLC. Under his leadership, Hold Security played a pivotal role in information security and threat intelligence, becoming one of the most recognizable names in its field. Holden is credited with the discovery of many high-profile breaches including Adobe Systems, initial vendor breach that led to the discovery of the JPMorgan Chase breach, the independent discovery of the Target breach and the Veraz (Equifax Argentina) breach. In 2014, he discovered the largest breach of data to-date. Dubbed the CyberVor breach, he recovered a cache of over 1.2 billion stolen credentials gathered from over 420,000 exploited web sites. Considered one of the leading security experts, he regularly voices his professional opinion in mainstream media. Uber recently disclosed a massive data breach in which the personal information of 57 million Uber customers and drivers were stolen by hackers in October 2016. What are some of the lessons we can draw from this latest breach? - What is the impact of this breach? - What should Uber users do in response to this breach? - What are the most common reasons for breaches? - What should organizations be doing to better tighten their security? With cyber threats constantly emerging every week, many struggle to keep up with all of the issues and many others feel hopeless. We will examine recent trends and breach categories to understand how the threat landscape has shifted. We must learn from our recent and not so recent history to be able to predict the next wave of attacks and to structure our defenses against them. It is a terrible time for privacy in the United States. There are very few institutions that we entrust to hold nearly all our financial records and one of them, Equifax, admits to losing them. Let’s examine what we know about the breach and what are the long lasting effects will be. As our digital footprint grows at home as well inside our organizations, how do you keep track of your ever expanding footprint? What’s the impact of you constantly sharing and bestowing your identity within devices and software? How do you defend it all and manage your identity in the age of a constant cyber breach? Join us for an insightful and interactive discussion where we will explore the changes in your digital identity and its cutting-edge defenses. Alex Holden is the founder and CISO of Hold Security. Holden is credited with the discovery of many high profile breaches including Adobe Systems, initial vendor breach that led to the discovery of the JPMorgan Chase breach, and the independent discovery of the Target and Yahoo breaches. Considered one of the leading security experts, he regularly voices his professional opinion in mainstream media. While understanding the current impact of Petya Ransomware is paramount, this type of global attack ushers a new era of cyber warfare. Besides direct impact and implications, we need to derive important lessons set by this attack. The next wave of attacks will be here shortly. Learn what can you do to prepare your enterprise for it. On the surface, spotting malicious attacks can be difficult. Hackers are expanding their malware distribution networks by exploiting commonly used applications to carry and distribute their malicious software. In the wake of the three major attacks Wanna Cry, DocuSign, and Google Docs malware outbreak we will examine how malware is distributed and provide guidelines on how to secure infrastructures against the next attack. Join this webinar to learn the top 10 vulnerabilities within your travel and loyalty reward program abused by hackers. What do hackers see as an easy profit? Learn what to do to defend your customers’ benefits. Understanding of the current threat landscape of travel industry and loyalty reward programs. Are we really surprised about the current revelations behind WikiLeaks Vault7? It confirms that the US government has secret hacking tools like everyone else. Are they the only ones who have these tools? We will discuss the Dark Web hackers and the government-sponsored hacking advances. Most importantly, how does it impact our privacy at home and within our companies. What do we need to do to stop this type of unwarranted exploitation? - Motivation and techniques of the Dark Web hackers and government-sponsored groups. - Understand the impact of hackers having access into your corporate infrastructure or your home. - How to defend against the unknown 0-day vulnerabilities? Alex Holden is the leader of Hold Security, LLC. His research of the Dark Web and hackers has led to the identification and remediation of thousands of breaches in the past decade including high profile breaches like Adobe Systems, Target, JPMorgan and many others. Join us in discussing the state of cyber security in 2017. What are current threats, pitfalls, and the myths hindering our defenses. Learn advanced techniques of defending your enterprise security and making it an undesirable target. • Will the Mega Breach revelations continue? And how we should react? • Would DDoS take the front seat again? • How to deal with Ransomware evolution? • What trends are feasible for hackers? Which trends are on their way to obscurity? Grown and shaped by market demand, Hold Security, LLC is an Information Security, Threat Intelligence, Risk Management, and Incident Response Company helping businesses of all sizes to stay secure. Powered by the brightest security experts, Hold Security works with companies around the world to enhance their security posture. Our engineers continue to play lead roles in discovery and investigations of major security breaches, with a proven track record of success.